For those of us who have pets in our homes, it goes without saying that those lovable, furry companions do create some extra work when it comes to keeping the house clean. Pet dander, fur, mud and all the rest that comes with keeping a pet indoors can not only affect the general cleanliness (and odor) of a living space but can also impact the overall health and well-being of those in your family. The home cleaning challenges presented by pets are many and vary based on things such as type, breed and believe it or not, the personality of your furry friend. No matter which pet shares your home, there are some things you can routinely do to help minimize a pet’s impact on your home’s cleanliness. Keeping your pet groomed on a regular basis goes a long way to help keep your home free of those “fibers of joy” we know as fur, dander, etc. Depending on the type of pet you have a weekly bath, nightly brushing or more intensive de-shedding activities can be time well spent toward keeping your home smelling and looking clean. If you have fish, reptiles or turtles, they also need regular attention in the form of cage cleaning or water changes to help keep them healthy and your home smelling fresh. Some pets, like dogs, for example, spend a lot of time going in and out. 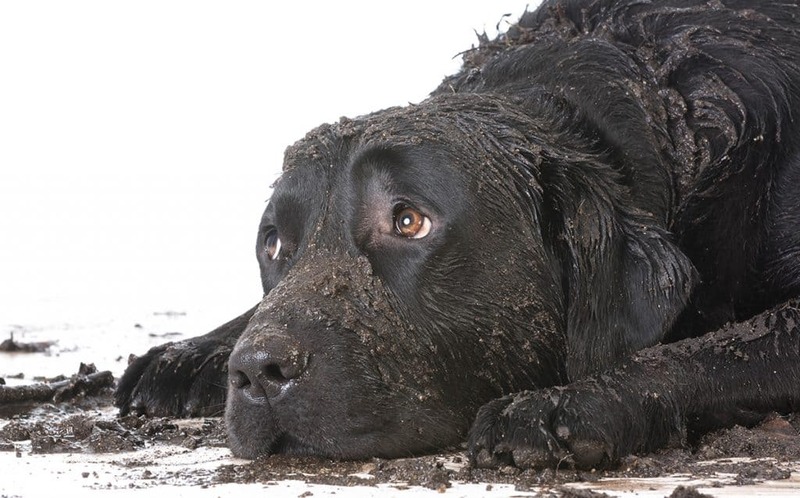 To keep outside dirt and mud from coming in with your pet, be sure to place mats inside and outside of doors and train your pet to wait on the mat. Keep old towels or rags near these entry and exit points to wipe off muddy paws and fur before giving them permission to come back in. You may think that pets primarily create messes on the floor, but any pet with fur also contributes greatly to the amount of dust you have in your home. Frequently eliminating the dust by wiping surfaces can help keep allergens at bay. It is also a good idea to invest in a high-performing furnace filter designed for homes with pets. The idea of clean is relative. While none of us would like to live in squalor, there is some truth to the fact that when you have pets in the home, the “white glove standard” may be a bit too stringent. To really enjoy your pet, you’ll need to get used to the idea that this particular member of your family can cause cleaning challenges, but they’re worth it! Spending just a little time doing some of the items mentioned above can go a long way to keeping your home clean. For all the rest of your home cleaning, call Grace Home Cleaning! 402-769-0774.